Boxing Legend, Successful Entrepreneur and Author, The Big Fight: My Life In and Out of the Ring. 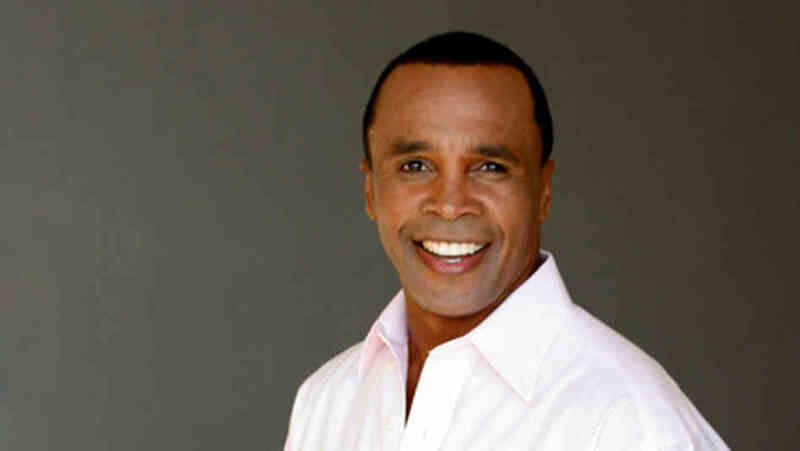 ​Sugar Ray Leonard is one of the legendary sports icons of the 20th century whose very name epitomizes boxing and conjures the image of a champion. Leonard published his first autobiography (Viking Books) entitled THE BIG FIGHT: My Life In and Out of the Ring on June 7, 2011. In this unflinching and inspiring autobiography, the boxing legend faces his single greatest competitor: himself. Leonard's brutally honest and uplifting memoir reveals in intimate detail for the first time the complex man behind the boxer. The Olympic hero, six-time champion and beloved athlete waged his own personal battle with depression, rage, addiction and greed. With honesty, humor and hard-won perspective, Leonard comes to terms with both triumph and struggle-and presents a gripping portrait of remarkable strength, courage and resilience, both in and out of the ring. In fall 2013, Leonard debuted his new contemporary athletic men's collection with Starting Lineup available at Saks 5th Avenue and startinglineupclothing.com. Through his online community www.sugarrayleonard.com Leonard connects with fans through the sport of boxing, general fitness and philanthropy. The site features everything you need to know about Leonard’s exciting boxing career and the sport in general, as well as updates from the Sugar Ray Leonard Foundation, which helps fight diabetes and child obesity. Leonard also shares photos and video footage from his personal archives. Leonard's sincere, charismatic personality coupled with his ring experience led to a successful career as a television broadcaster for NBC, ABC, HBO and ESPN. His television credits also include competing on the hit ABC series, Dancing with the Stars. In addition, his celebrity status and tremendous cross-over appeal fostered commercial endorsement relationships with numerous companies including EA Sports, Vartec Telecom, Track Inc., Ford, Carnation, 7-Up, Nabisco, Coca-Cola and Revlon. Leonard is also among the most sought after motivational/inspirational speakers in the world today. His speech, titled "POWER" (Prepare, Overcome, and Win Every Round), is consistently booked with major Fortune 500 companies in the United States and abroad. He has recently been signed on as the face of the Global Skechers campaign. Successful business ventures aside, Leonard has always been devoted to the community and to helping those in need. For many years, Leonard has been the international chairman of the Juvenile Diabetes Research Foundation Walk for a Cure. Leonard has a passion to help fund research and awareness for type 1 and 2 diabetes and obesity prevention. In 2009, Leonard and his wife Bernadette started the Sugar Ray Leonard Foundation and have been supporting the life-changing programs at the Center for Endocrinology, Diabetes, & Metabolism at Children's Hospital Los Angeles. The Leonard’s have always been devoted to the community and to helping those in need. Leonard also participates in and speaks on a variety of national and international causes benefiting children's charities. He connects with audiences through the sport of boxing, fitness and philanthropy. Leonard is the focus of the film Hands of Stone, which was released in the United States in 2016. His character is played by Usher, and the film additionally stars Robert De Niro, Edgar Ramirez and Ellen Barkin. Leonard has four children and lives in Southern California with his wife Bernadette.